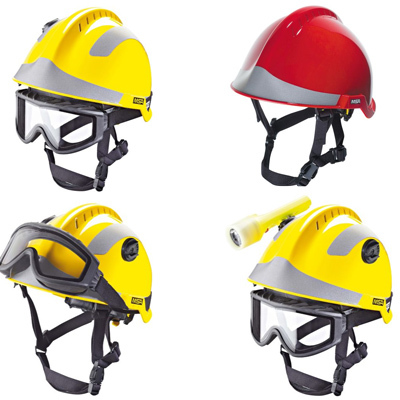 Our safety helmet is a high performance helmet for a variety of rescue missions like forest fires, natural disasters, traffic accidents and industrial environments. It protects against falling and laterally impacting objects as well as perforation and offers high resistance to lateral deformation and elevated temperatures. Accessories developed to fit the helmet can be mounted easily to enhance its functionality. Electronic components are ATEX approved for use in potentially explosive atmospheres. Communication devices are connected via a Push-to-Talk (PTT) unit that can be adapted to 100+ radios. Level-dependant hearing protection greatly enhances communication and situation awareness in operations with exposure to noise. 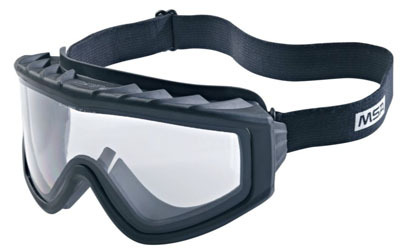 Designed for rescue teams and forest firefighters, these high performance goggles provide advanced eye protection against a multitude of hazards, like impacts, liquid splash, smoke, heat, hot solids, dust, wind and ultraviolet radiation. 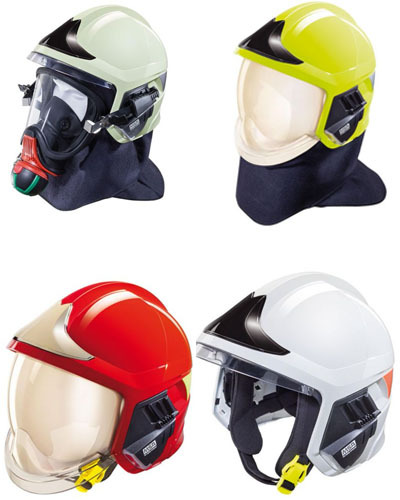 Furthermore, the optimized combination with the F2XTREM helmet is the optimal solution for long-term operations in all kinds of rescue and forest fire fighting applications.